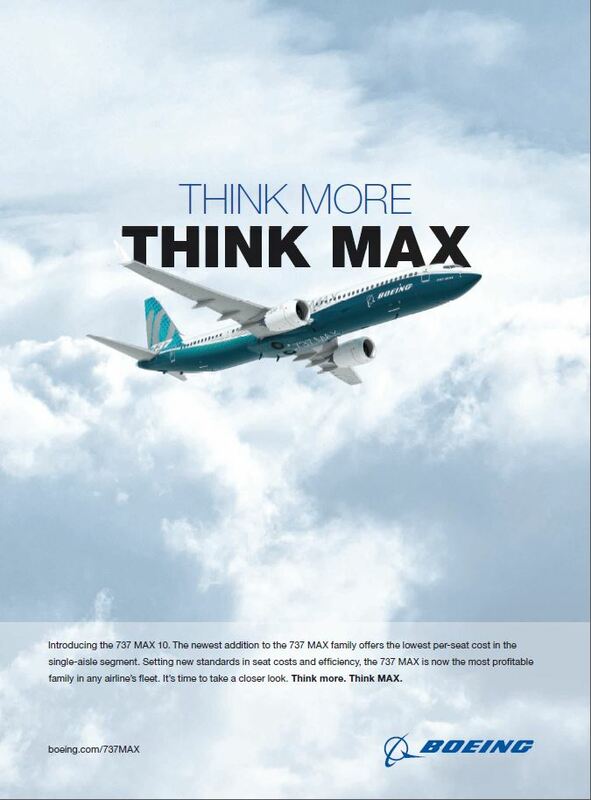 This latest advert from Boeing was first published after the launch of the 737 MAX 10 at the Paris Air Show in June 2017. "Introducing the 737 MAX 10. The newest addition to the 737 MAX family offers the lowest per-seat cost in the single-aisle segment. Setting new standards in seat costs and efficiency, the 737 MAX is now the most profitable family in any airline’s fleet. It’s time to take a closer look. Think more. Think MAX."